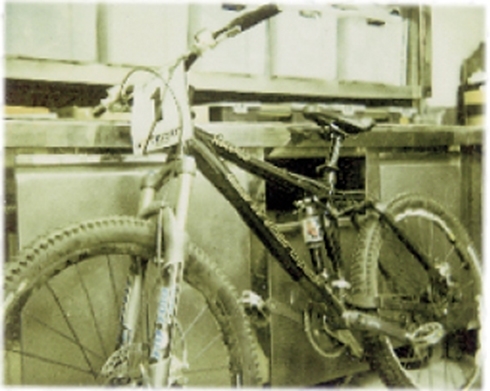 Talking about COMMENCAL’s history is like thinking into the distant past ... Think about the time when mountain biking did not exist, think of a dream team which accumulated 70 World Championship titles, think of all those pioneers who made history and the Hall of Fame! I created my own company by the name of SUNN, I was involved with this brand for 16 years, lived and worked intensely throughout this time and I kept only the good memories! But that's the past and finally, these old adventures are behind me! Thinking about it in fact, history is only useful if it helps to build the future, especially in our world (of MTB), which is constantly looking ahead, and evolving so fast. Ever since the year 2000 it seems like a magical momentum has been carrying the brand. The first model will bare the unforgettable name of "SUPERNORMAL". The story of this bike is legend in itself! 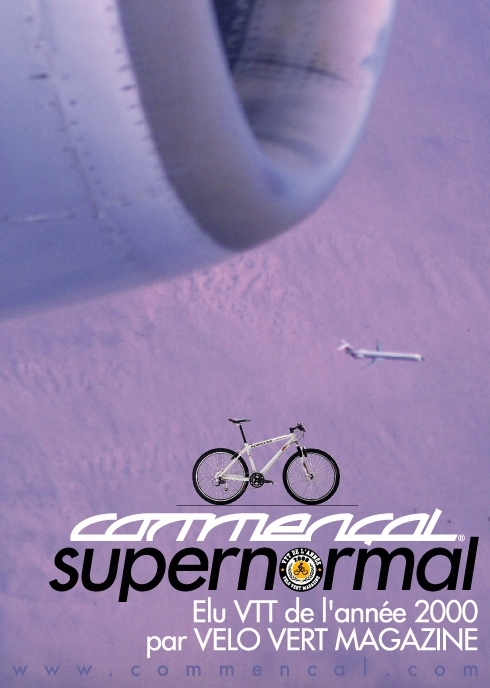 When we launched it, the bike seemed so "normal" and so "super". It immediately captured the heart of users, dealers and the press. 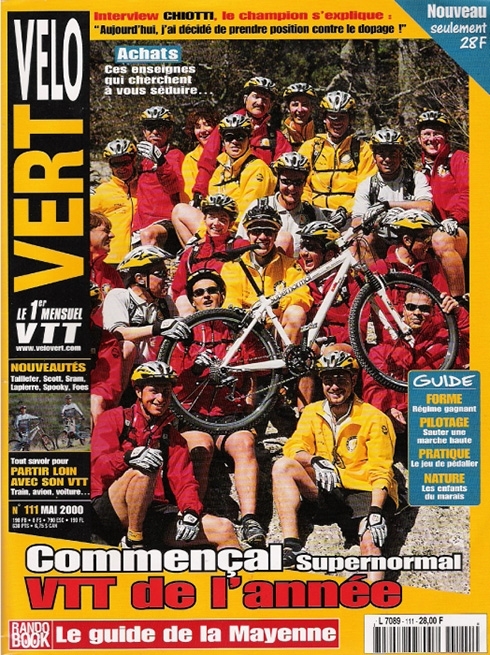 It was even given "MTB of the Year" by Vélovert magazine. Lucky stars helping us, on its first race (the Roc d'Azur with10,000 riders! ), it won the Elite class guided by Christophe DUPOUEY! History is on the way! In 2001, thankfully the DOCTOR arrived! Light full suspension, modern, comfortable, easy, where everything comes to hand as if by magic! From our office we see so many ski slopes and mountains; it is obvious that we will never be a brand like the others. The spirit is there, the motion is flawless and the playground that is available to us is a godsend. In 2002 we launched the PASTA. What a weird name for a bike! Yet it opened up a whole new world! It is no longer just a bike to get around, to stroll, to feel good... We ride for fun, to jump! Pure performance becomes secondary! We are looking for a more nimble position with an adjustable fork height to go everywhere! 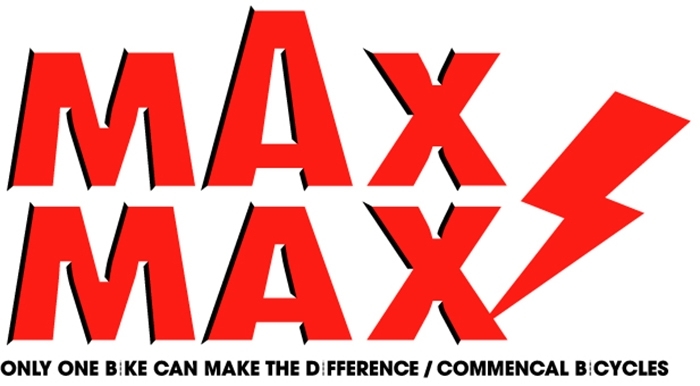 2002 is also the year that Andorra and the resort of Pal Arinsal (Vallnord now) decided to invest with us in organising the MAXIAVALANCHE. With Georges EDWARDS, the legendary organiser of L’Alpe d'Huez "MEGAVALANCHE" and that on the Island of La Reunion, Andorra marks its territory and is immediately seen as the undisputed riding spot of the Pyrenees. 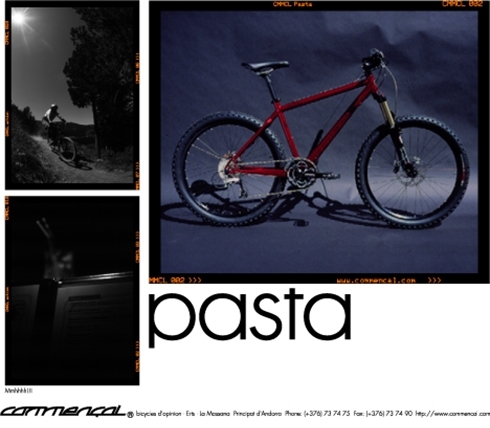 In 2003, PASTA POWER is launched with full suspension, long travel (at the time)! The art of knowing it all and having nothing to hide, it has an undeniable charm. Anne-Caroline Chausson joins us and offers the brand and the PASTA POWER its first 4X World Champion title. It is also our burst onto downhilling scene with Anne-Caroline on the charge in that discipline and there’s development of the future SUPREME DH with Olivier BOSSARD (BOS Engineering). 2004 is the beginning of our ‘global’ brand! This was also the year of OXBOW. The famous surfwear brand trusted in us and gave us big budgets to create a team of first class ambassadors. Miguel MARTINEZ, Franck PAROLIN, Bernat GUARDIA, Romain SALADINI, Titou PICARD joined Anne-Caroline Chausson to shred the tracks and win all the titles! It was the beginning of 2 years of Continental Circus! Alongside the image, we invested a lot to launch a completely new range the following year. Team riders were actively involved. Roman SALADINI is Junior World Champion on the SUPREME DH. The heavy artillery is here! 2005 sees the beginning of the META, which will be the brand flagship for a long time. A few years later, the British press even put it in the decade’s top 10 best bikes. It’s an Absolut consecration! We also launch the SUPREME frames. With both DH and Freeride platforms for everyone to shred, tests in magazines are very flattering and the brand clearly has it’s own identity - mountains, buddies, enjoying the ride and having fun. Once again, success is immediately here! Two new riders join us while Roger RINDERKNECHT rides the ABSOLUT frames, Rémy ABSALON is perfectly suited to the META’s image and Julien CAMELLINI joins our DH crew. Rémy wins the mythical MEGA in La Reunion and will be crowned European Champion for Downhill Marathon. Anne-Caroline will once again be DH World Champion! 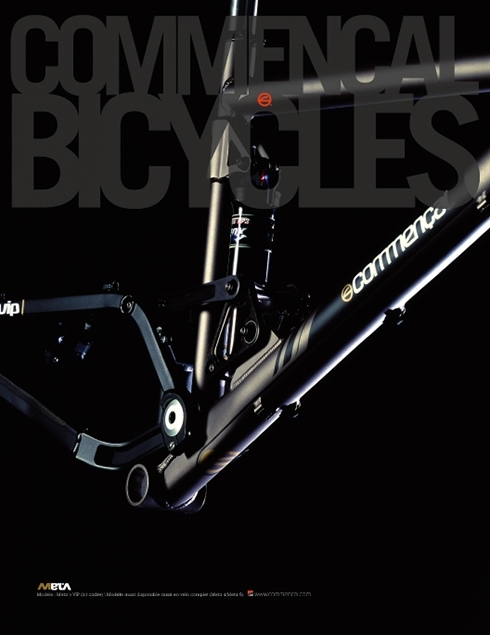 COMMENCAL is becoming an international entity, as the sales in France (which are still growing) no longer represent the overall sales. No less than 30 countries import our bikes, directly from Taiwan where they are assembled and stocked. We are also welcoming the most media oriented and the most loved rider, one of MTBs hall of famers. Cédric GRACIA, who started as a kid with me more than 20 years ago, is coming back to us after several years in the US. He is one of the rare riders to excel in downhill, 4X and freeride. His "aura" and reputation are such that, immediately, the brand gets worldwide recognition and respect. COMMENCAL plays in the big league. The team is centred around Cedric. Romain SALADINI, Remy ABSALON and Anne Caroline CHAUSSON remain. 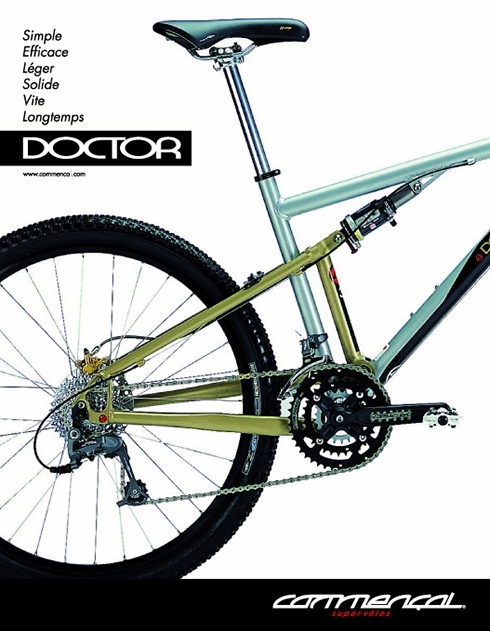 The 2007 catalogue is probably one of the finest MTB catalogues in history. Picture, atmosphere, bikes, everything is gorgeous. Cédric GRACIA makes you want to ride and our UK distributor recruits 3 of the most amazing riders of this time! Imagine 3 siblings who are some of the best DHers in the world. This is a true fairy tale and worldwide press takes great interest and follows them (and us) closely. 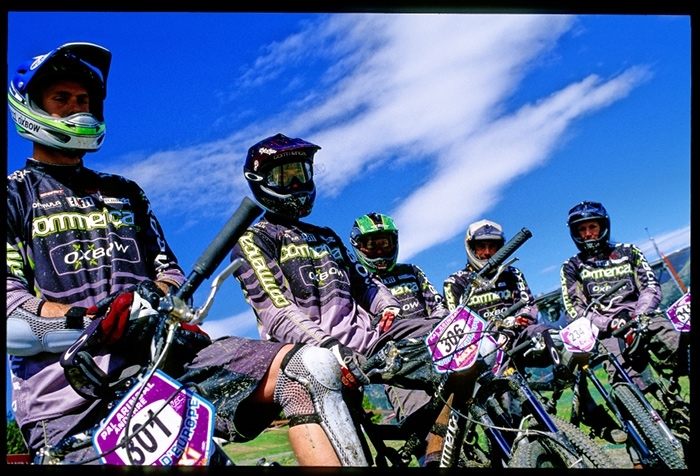 They create the ANIMAL/COMMENCAL Team... More high-level exposure for the brand. The bikes are evolving, becoming more refined and are even more beautiful. MTBing has definitely changed. We know what we want! Ski resorts are getting more business oriented and looking amateur belongs in the past. A new era is on its way! We use a high quality frame and we put just the bare minimum on it. Only what’s useful and essential! The rest? It will be for later depending on our mood and/or means. Sales figures are impressive and we exceeded the 20,000 bikes sold milestone. The key to a brand is its identity, its difference and once again the catalogue of the year is a pure gem! Racing is a major point of our communication and development, but already other aspirations are looming... Absolute performance is no longer exclusively podium-based. Many riders who want to have fun are riding super dialled bikes! Our mountains lead us to focus on the pleasure of riding and to promote the free spirit of downhilling. 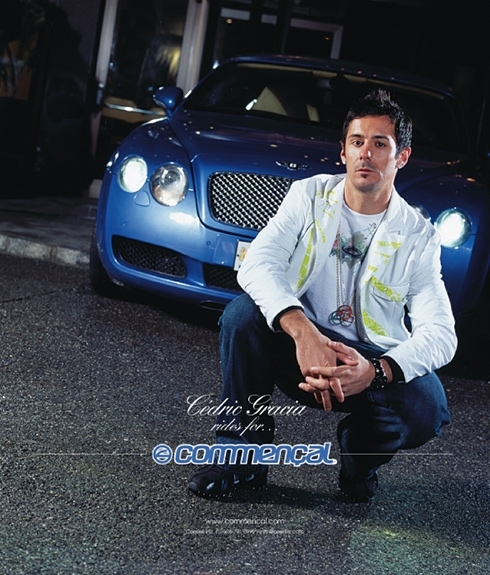 Cédric GRACIA, increasingly popular, is travelling around the world. He shows that, like no other sport, MTBing can be done everywhere on the planet! "Having a blast whilst riding, riding everywhere, travelling, that’s the future," he proclaims loud and clear! "I never have as much fun as when I’m travelling!" Remy ABSALON can be found riding his new META 6 deep in the Nepalese mountains, Cedric and his FURIOUS, from Brazil to the Israeli deserts... The pictures are amazing and the urge to ride that Cedric and Remy communicate is extremely contagious! Meanwhile, our British friends, our ATHERTON family, continue to climb the podiums. We love their kindness, their British calm, their humour, the way they see riding and living. What a joy to see them ride, to have them on board with us! The SUPREME and SUPREME DH platforms have been completely revised and monopolise the World Cup podiums. 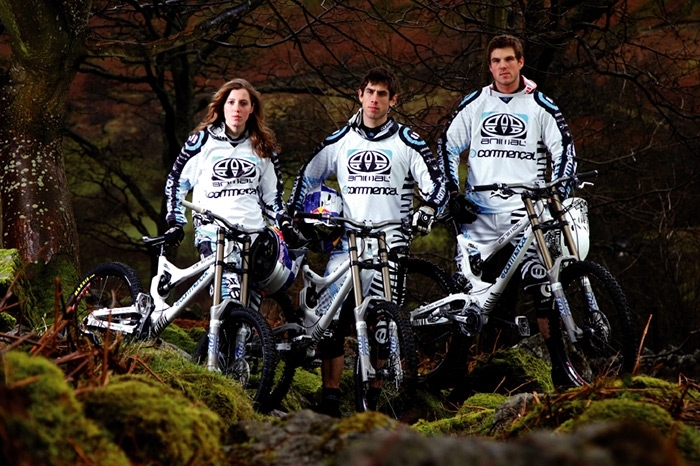 Rachel and Gee Atherton are crowned World Champions in Val Di Sole, Italy. What more can we ask? That year we also welcomed some totally amazing Canadian riders! A group of three teenage freeriders who were downright nuts, sending it like no one else and wanted by all producers of extreme videos around the world! How can we not love their freshness, their enthusiasm, their smiles and their simplicity? Between the legs of the young guns - Micayla Gatto, Alex Pro and Brendan Howey - our bikes fly! We are also entering a new era; the carbon era, with the launch of the Skin, a new XC hardtail. The SUPER 4 is a new XC Marathon that completes our cross-country range and the famous META also gets a full carbon makeover. 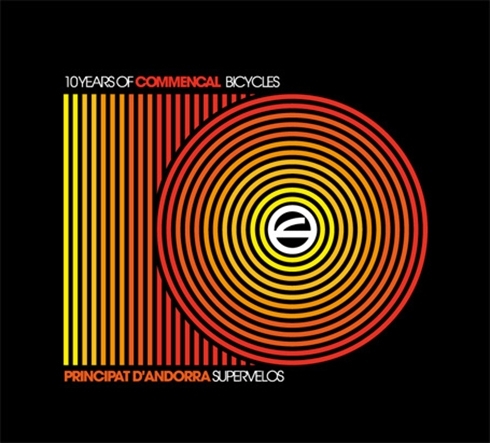 10 years has passed since COMMENCAL was born and in those ten years it’s been one hell of a ride! Since the beginning, the identity has been strong and our motto has always been the same. Enjoy the ride, the performance and the design! The brand is at the top of international competition in DH, 4X and DHM with Remy ABSALON and the ATHERTON family. Thanks to the ABSOLUT family, giving a steed for street/dirt teenagers, there is no avoiding the brand and the latter is fully for shredding. Lots of novelties are in the pipeline and a new model appears. Its name is the Ramones - an all-around hardtail bike with long travel, not too expensive and which enables its users to go from the city to the mountains, by any means of route. What makes it? Fatter tyres, reliable components, a good position and an off-the-beaten-track name and graphic. Truly what makes MTB. "Designed for hooligan trails,” wrote a British journalist after testing one of our bikes. It’s this leitmotiv that inspires our team to offer bikes that are more nimble and fun to ride whilst pointing downwards. Rémy ABSALON, who won the famous MEGAVALANCHE in l’Alpe d’Huez in 2009 on his META Carbon, will not argue with this! Sports marketing is the heart of our Communication and R&D departments. Yannick GRANIERI, who is part of the next generation of top dirt and slopestyle riders, joins our dream team. Riding his ABSOLUT, he is pushing beyond the imaginable limits of what is usually doable on a bike. For big mountains, we are launching the SUPREME 8 for both downhill and freeride. 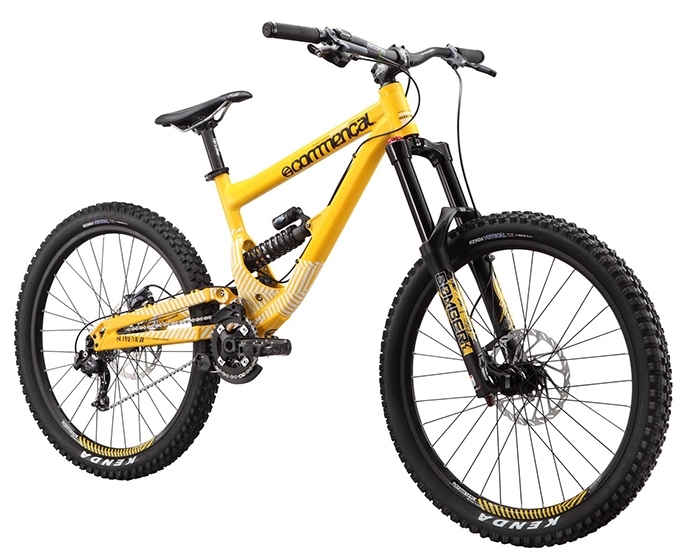 Spec’d as a freeride bike but starting from a World Championship downhill frame, it’s world's fastest freeride bike. It’s the weapon of choice to go shred with your buddies. Summer 2010, it’s becoming apparent that the mountain is becoming our most beautiful playground! After 6 years of very good and loyal service, it is time to renew two of our main ranges! 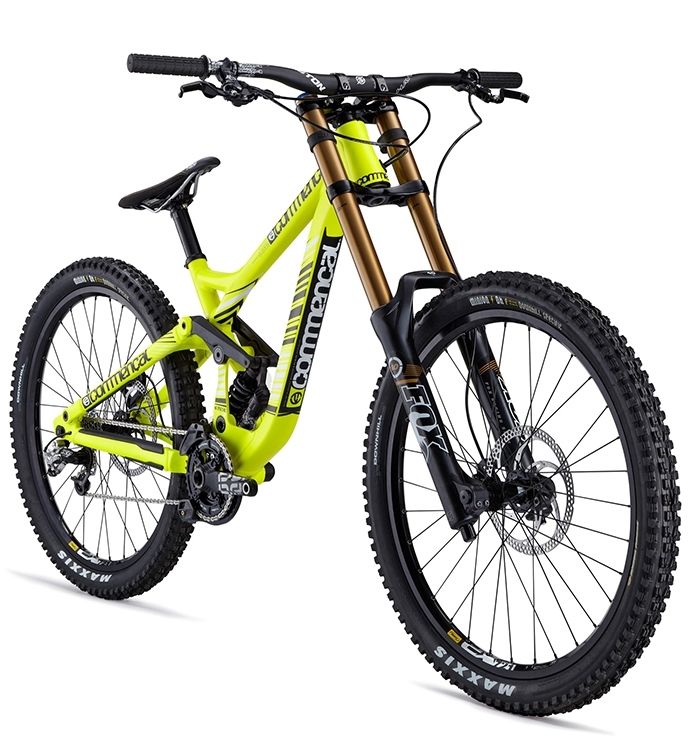 Enter a new DH bike and a new META. The third generation is naturally called the V3. Our DH bike, the SUPREME V3 immediately finds huge success, to the point that almost surprises. This new frame has a lowered centre of gravity compared to the previous version, more compact, more stable and faster, which immediately encompasses an increasingly growing clientele. DH is a real business, it’s not marginal anymore but open to a broader, audience! The new META is unleashed at the beginning of the summer. Less than 2 weeks after being unveiled, Rémy ABSALON wins the Alpe d’Huez MEGAVALANCHE on it. The evolution is unbelievable. Like its big brother the SUPREME, the META uses a 3rd generation Contact System. You can ride it anywhere, and it launches the concept that a true enduro bike is not only an XC bike that can descend well, but a DH bike that can climb too! The difference is huge! For the first time, we’re straight to the point, having fun is the priority and we can see that to have a bike that performs, you don’t need to build it from scratch. It has to be designed to have fun and have a blast!The more you have a blast, the better you get and the faster you go! 2011 also reveals a new champion! Myriam NICOLE wins her first DH World Cup! "We don’t sell our soul.” I’ve always had this motto. With our engineers, we wanted to create two new ranges to broaden our perspective - recreational road (referred to as training bikes) to ride around town and also a kids range. Road, because we like the idea of riding our bike around town and not just using our car all the time, be free. Our range is therefore intended to be subtle, useful and refined whilst maintaining our unique identity. Leading this is the UPTOWN range - THE logical bike. 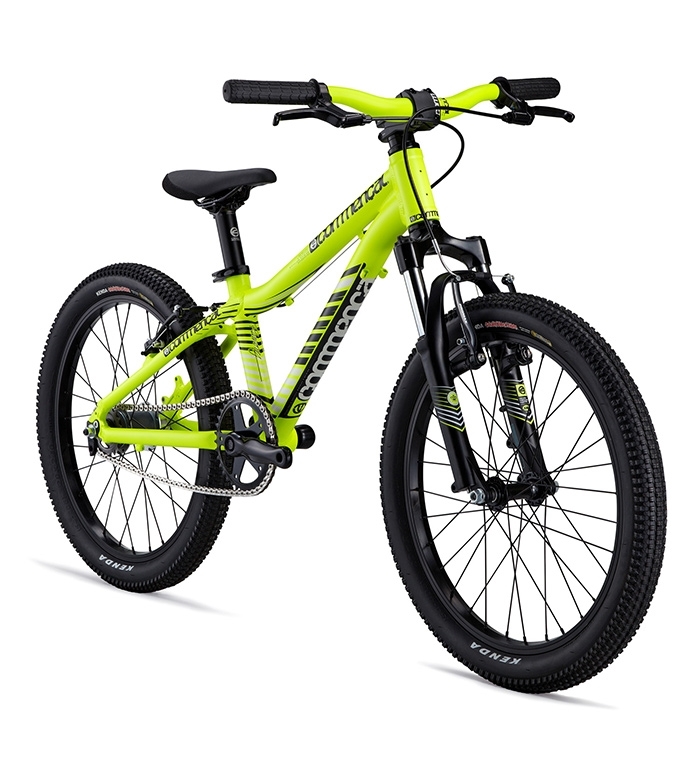 Not too many gears, 29er, an enduro-style position with wide handlebars, a shorter stem and wide "slick" tyres to absorb the city bumps and potholes. A real surprise! Then you have the "LE ROUTE" range because clearly, with its narrow tyres and road bike components, they could not have been born otherwise. However, they are in no way your traditional road bikes. No drop bars, a geometry entirely designed for a safer, easier and comfy position, with a low rise handlebar and a short stem. Is it slower or less effective though? Good question. You don’t have to dress like a Tour rider to go ride! Remain "classy". Respect your routes. The kids? Simply put, because what is available is not good enough for us. All those youngsters who rode BMX and MTB 10, 25 years ago, are for the most part dads now. A "biking baby boom" really does exist and what do they want for their offspring? Surely not an ordinary bike! For sure our bikes are not the cheapest and we do not want to discuss prices with people who think that kids only deserve entry-level! The range, which we only want to expand, targets little shredders who will eventually be 15 and will surpass their mums & dads (both proud and jealous) with their skills. All the factors of good geometry and suitable components that we develop for our adult bikes is applied, with as much attention, to our kids range. On the enduro side, crowned by numerous awards, the META SX is the brand’s reference. Its style rubs off on the entire range from the entry-level EL CAMINO to the Ramones and freeride/DH, "sending it” is expressed in each family. Sales continue to grow worldwide. From a solely bike-shop based distribution system we become multi-channelled. Our online store sees rising success. Many riders like to have direct contact with us and vice versa. 2012 is also the year of decisions, notably "no carbon." Without dwelling on the subject and without denigrating anyone, we believe this material is difficult and dangerous to implement and is not currently processed within an acceptable environment for workers in China and elsewhere. In addition, producing non-recyclable and impact-shy frames (in an ever increasing eco world) when we’re trying to makes thing cleaner and greener seems inappropriate. Inevitably, all this is just to save a few grams. For sure, we go against the norm and we may miss out on some sales but we expect it. 2012 is also the year of colour. "Happy colours" is a very sweet slogan, which is definitively a break in the endless white, black and grey if they can even be called colours? No gloom, just enjoy your ride! With an impeccable control, Rémy ABSALON wins the Alpe d'Huez MEGAVALANCHE for the third time. This victory proves once again, that our META range keeps its promises in strength, reliability and performance. Rémy’s partner and our new enduro rider Nicolas QUERE nicknamed "The Artist" www.endurotribe.com’s revelation of the year. His crazy videos, his killer style and his amazing lines fits perfectly with the brand image. He promises great adventures. Steady and still improving, Myriam NICOLE finishes 3rd overall in the DH World Cup. Supported by the RUFFIN brothers of the COMMENCAL-Riding Addiction, a team with whom we extended our partnership with for three more seasons, "Pompon" is expected to win an international competition in the near future. Finally, because riding a bike also reflects life-stories, we created a web series called COMMENCAL Insiders. Personal moments, laughter, fun were recorded, reflecting on the MTBing spirit driven by our riders... Something for us to watch again and again and to share, without moderation. Shredding, present and proud. 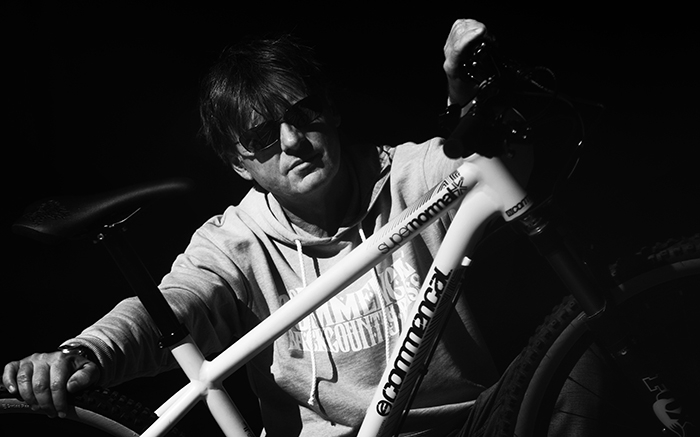 COMMENCAL, Bicycles d’opinion forever!